We need the domain experts! It certainly helps to be a clinician, although recent work on development of clinical content specifications for a Hearing Health application has taken me further into modelling for the range of audiometry, 226Hz and high frequency tympanometry, audiology speech testing, and hearing screening than I’d ever imagined. 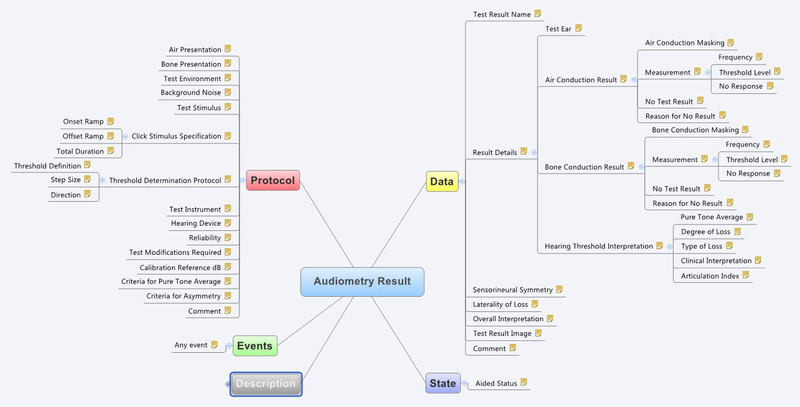 Modelling the raw data capture (or downloaded from devices) for these tests is really quite simple, but enabling the complexity of different states, events and protocols that reflect audiological practice has been much more complex than I anticipated. I attempted to model these some years ago, based on my (obviously rather poor) research on the web at the time. Take a look at my meagre effort to build the original archetype for Audiogram Result (as built by a GP who has never performed an audiogram). And the most recent archetype as designed and verified by practising grassroots Audiologists… I didn’t even get the name of the concept correct! Identifying domain experts for the development and then collaboration on verification/validation of each type of archetype/template is absolutely critical for success.